I disagree with the President-elect [Donald Trump] on many issues, but I think he is a major factor in trying to bring sanity back to the relationship between the US and Russia, Ron Paul, veteran US politician and author, told RT. Moscow has been blamed for influencing the US presidential election in favor of Donald Trump over his Democratic contender, Hillary Clinton. The Office of the US Director of National Intelligence (ODNI) released its findings in a paper entitled, “Assessing Russian Activities and Intentions in Recent US Elections”. However, the declassified version of the report fails to provide proof of these quite serious allegations. Now, France and Germany, two major EU countries with elections this year, are also being described as potential targets of Russian hacking. RT: The US intelligence report into alleged Russian hacking - some describe it as weak and insubstantial because the declassified version doesn't include any evidence. What did you make of it? 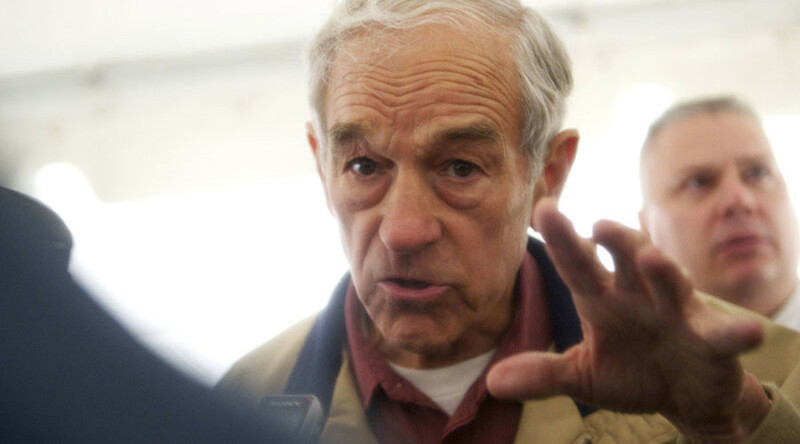 Ron Paul: Since Assange takes that position, I agree with him, because I think he is telling us the truth. I am not an expert in analyzing this, but I do have a lot of respect for Assange. There was a major station or internet programming here that did a survey of the American people, and they found that 80 percent of the Americans would believe Assange over our security, our intelligence gathering. From my own experience in Congress, leading up to the Iraq war, I heard what our intelligence agencies were saying. They did not tell us the truth – they misled us, and tragedy occurred from that. So, there is every reason for me to be skeptical of what our intelligence agencies are saying. I think most of what we’re hearing now and all the back and forth here in the states has to do with politics. People who are very upset that they didn’t win the election, and therefore they are turning it into this so-called political scandal, and I don’t think they have much merit there; I don’t think the evidence shows that those people who are saying the intelligence report proves certain things. I think it is all political grandstanding. RT: Should Washington have expected a backlash releasing a document with caveats that its conclusions could even be wrong? RP: I wish there would be a major backlash against the deception. It hasn’t occurred yet, but more and more people... showed that a lot of Americans are very skeptical of it. It should be, but there are a lot of people out there. There are a few things I don’t agree with the President-elect, but I think he is a major factor in trying to bring sanity back to the relationship between the US and Russia, which I would like to see, because I don’t like to see unnecessary antagonisms when there is no merit to the reasons for being in dispute with another country. RT: American intelligence was accusing RT of harmful influence on the US public for, and these are examples from the report: for giving platform to third parties, for covering Occupy Wall Street protests and reporting on police brutality. Does that make a news outlet a propaganda bullhorn in America? RP: Well, hardly because I think the evidence doesn’t prove that that is what is happening. But yes, I get charged with that all the time if I take a position that there is some ulterior motive. And all that I am trying to do is to get bottom of things and find out what the truth is. But right now it is way overblown, and that there is no evidence that things are this serious. My complaint over many, many years has been our foreign policy. There is accurate historical report that from the beginning of WWII up until the year 2000 our government had been involved in 81 different elections. It is not like governments aren’t involved, but I think my responsibility and any responsible Republican or Democrat politician should look to ourselves to make sure that we’re being honest with our own people. But the propaganda, and the machine, and the media so often has been on the side of ignoring what we do and trying to put the blame on someone else. In this case I think there may be a little bit a smoke some place, but it is accurate to say that what Assange said: they have no proof of anything, and it is just stirring up trouble for political reasons trying to discredit the President-elect. As I said, I was not a supporter of the President-elect, but I am also supporter of trying to sort out the truth from all the nonsense that is going on. RT: What is your take on claims that some media organizations are putting out ‘fake news’. Any truth to such allegations? RP: I think that’s been going on for some time because I look at just about everything our government says, and the media which is closely connected, as mostly fake news… They went over the top by listing 10 organizations or so, including myself, on the front page of the Washington Post, saying we’re the producers of fake news because we’ve taken a position that shows a more balanced approach when dealing with countries outside of America, or that have a different position with Russia. So they say we’re the ones producing the fake news. But I think we’ve been winning a little of that argument… because when you really sort it out with the American people they aren’t all that blindly trustworthy of our federal government, even though you won’t hear that on our evening news because there’s still a lot of fake news out there…. The more the government is an empire where they’re holding control over a large area and many countries, the more tenacious they are in controlling what the propaganda is and what is said.